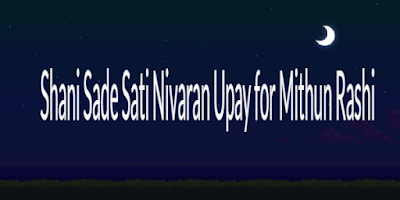 Both the Shani Sade Sati Nivaran Totke should be performed together for a period of 40 days in a row to get all the benefits of this Upay. 1] Keep a horn of a Cow [Gaay Ka Sing] in your home and daily in the morning, touch the Cow horn with your forehead[Matha]. 2] Feed a mixture of Bajra[Pearl Millet] and Choulai[Amaranth] and Sugar to a Cow.